Superdry hosted an exclusive party ‘Urban Street Nights’ along with b-town celebrity Yami Gautam to launch its AW’18 and SuperdrySport collection at ‘The Apartment’ by Reliance Brands Limited during the Lakme Fashion Week. The latest season represents a collection of bold clashing colours and statement up-scaled logo prints to pull a story together in ‘Urban Street’ and create an edgy statement look. Menswear’s ‘Back in the day’ collection looks to the early 80’s New York beat box scene and old school breakdancing on flattened boxes for inspiration. The newly introduced SuperdrySport aims to bring innovative sportswear in India to those who crave individuality and are not afraid to stand out. This season, SuperdrySport will be launched exclusively on Jabong. Yami Gautam, one of the most beloved Bollywood actresses decided to break free from the circle of fashion shows and join us to host the coolest party of the season! 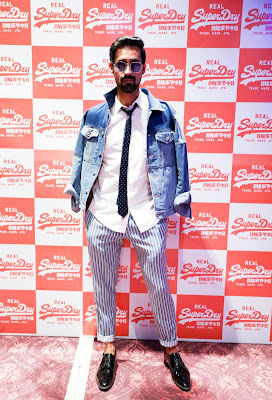 Styled in Superdry by Mohit Rai, Yami kick-started the evening by unveiling a Superdry painting inspired by the street art in Mumbai followed by a celebration of Superdry’s most popular selling vintage t-shirt. 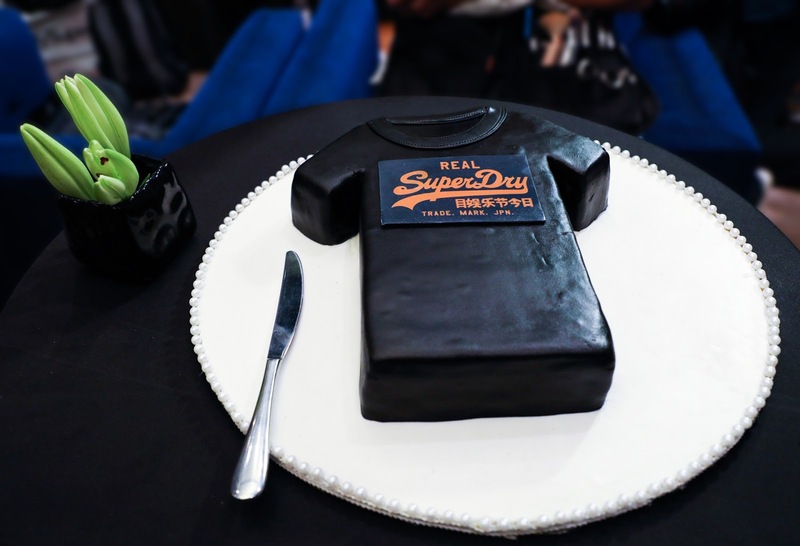 “Whatever season it may be – I love Superdry! The variety of the Autumn Winter collection is amazing and the look & feel of the style & fabric is really intricately designed,” said Yami. The décor included graffiti, metal mesh and iconic Superdry fixtures which were added to bring out the theme of the season at the party. Guests including Elnaaz Norouzi, Aalekh Kapoor, Vishwas Kinni, Mohit Rai, Hitendra Kapopara, Parikshat Wadhwani and Vaibhav Vishant were seen chatting over wine, beer & hors d’oeuvres. The rest of the night saw dancers grooving to the hip hop music and singing along to old school retro hits. It was definitely a night to remember!